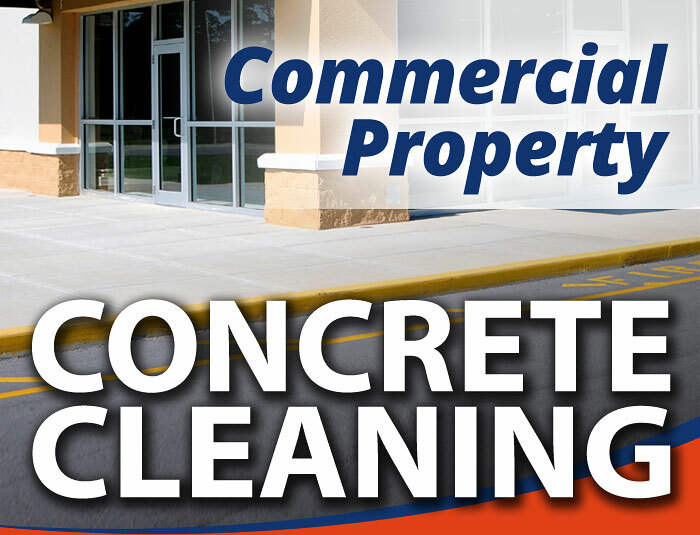 Are dirty, stained or discolored concrete surfaces making your Louisville, KY commercial property look unprofessional? 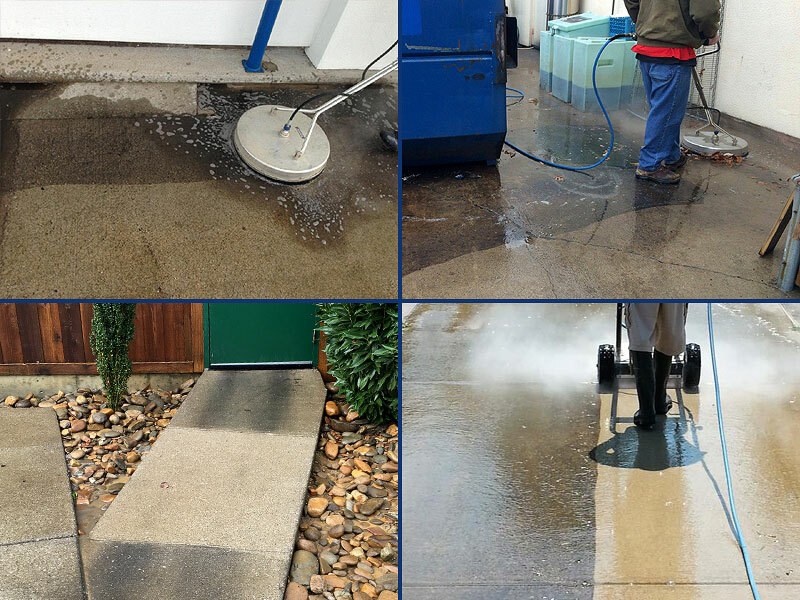 Concrete Surface Cleaning services from HurriClean are the solution! 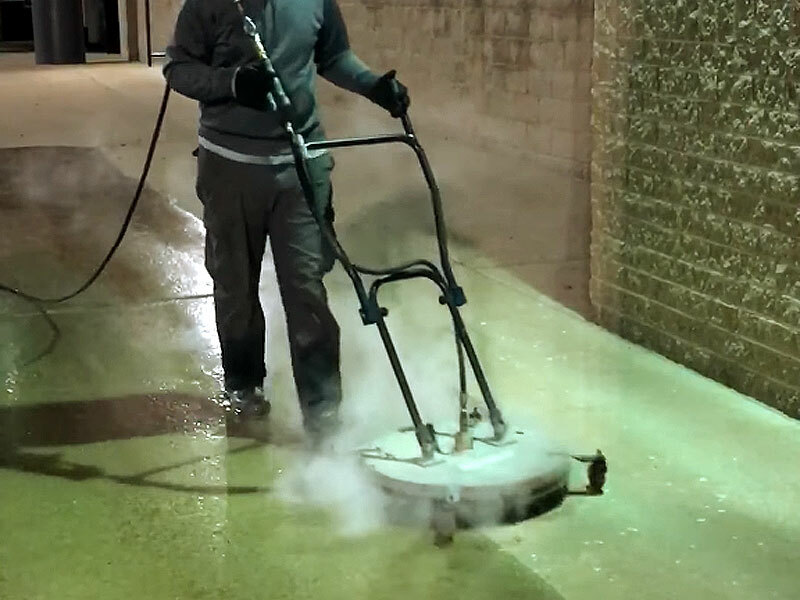 Concrete Cleaning uses high pressure hot or cold water power washing methods to deliver a deep cleaning that will get your business property back to looking its very best in almost no time! 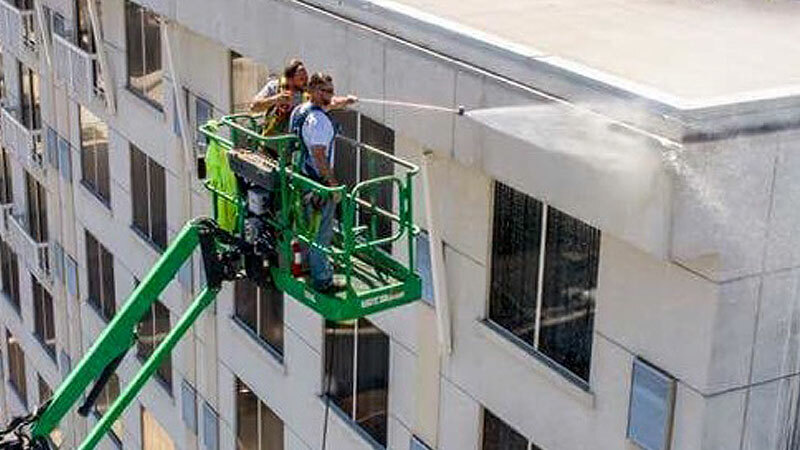 Concrete Cleaning isn’t just for concrete. 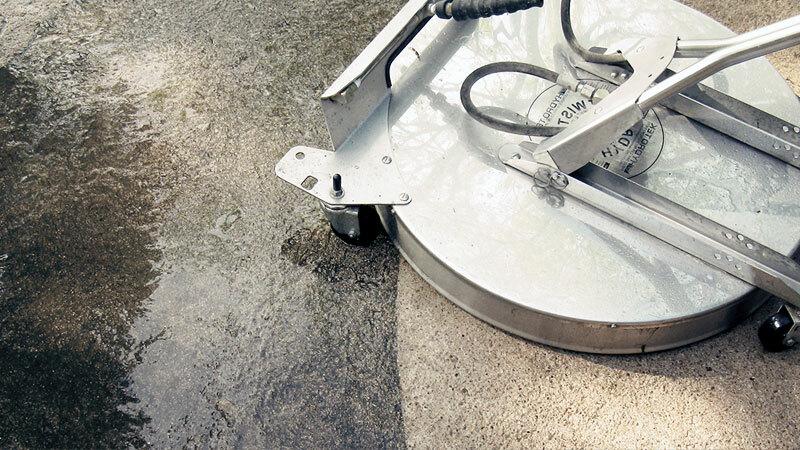 Our power washing services are also ideal for your property’s brick and stone surfaces. 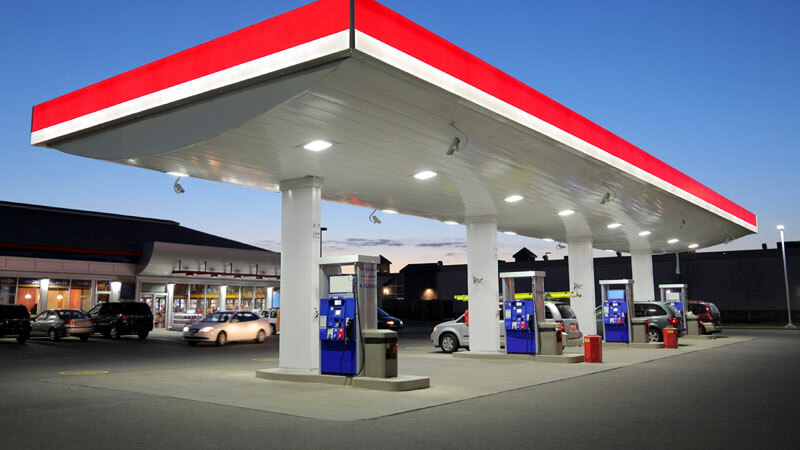 Your commercial property’s concrete, brick and stone surfaces are extremely durable, but their rough and porous nature means they attract contaminants all too easily, especially in high traffic areas. This results in dirty, stained and discolored looking surfaces (potentially dangerous ones, too) that don’t reflect well on your business. HurriClean can help! 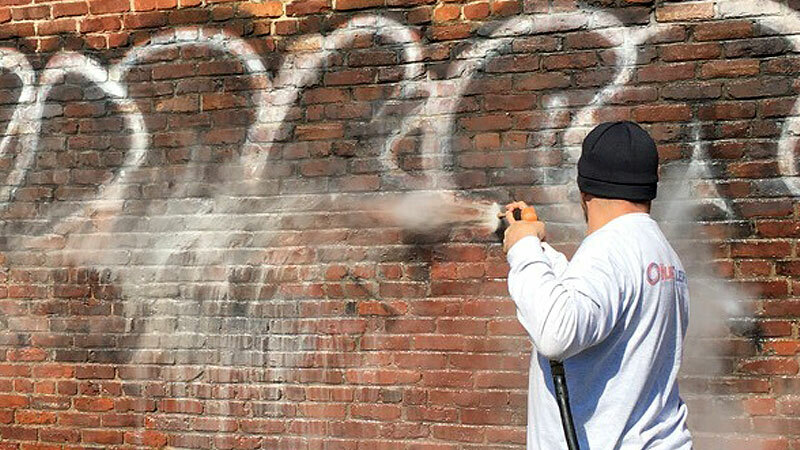 Similar to other parts of your business’s exterior, the concrete, brick and stone surfaces around your property require the proper kind of cleaning to achieve the best results possible. 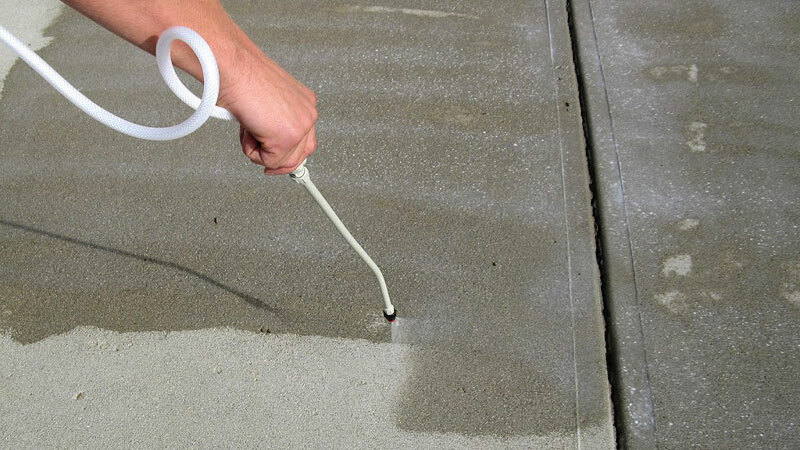 Cold Water Concrete Cleaning works just fine for your average surface dirt and grime, but Hot Water Concrete Cleaning is required to remove more stubborn stains due to oil or grease.